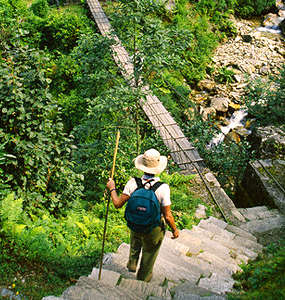 Nepal is a trekker's paradise. One can trek along the beaten trails or virgin tracks. There is something for everyone - the maginificent tumble of great snow summits; the highest in the world, or great-ridges carpeted in alpine flowers, forest of Rhododendrons, isolated hamlets, villages, small mountain towns, birds, animals, temples, monasteries, many different people etc, trekking can be done from October and November. 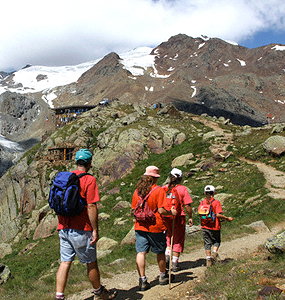 To assure a quality service and safety purpose it is advisable to make the trekking programs through a government recognised trekking agency.